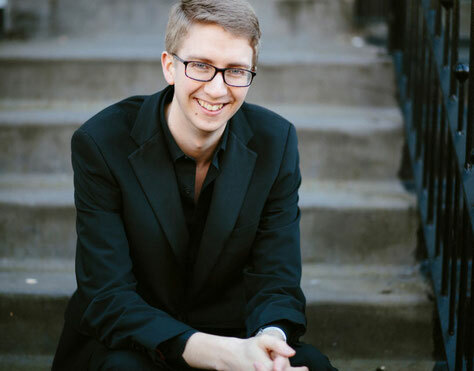 British pianist Ian Tindale was awarded the Pianist’s Prize in the 2017 Wigmore Hall Kohn Foundation Song Competition, in addition to accompaniment prizes at the Kathleen Ferrier Awards, Royal Overseas League Music Competition, and the Gerald Moore Award. Following studies at Cambridge University, Ian studied at the Royal College of Music with Simon Lepper, John Blakely and Roger Vignoles. Recent engagements have included a recital tour of Die Schöne Müllerin with tenor Nick Pritchard, recitals in the Oxford Lieder, Ryedale and Buxton Festivals, and appearances on BBC Radio 3 ‘In Tune’ and BBC2 ‘Proms Extra’. He has collaborated with artists such as Soraya Mafi, Ailish Tynan, Susan Bullock, Christopher Purves, Nicky Spence and Rowan Pierce.